The biggest pro to VLC for iPhone was its ability to playback file formats that iTunes doesn’t support. iTunes has a somewhat limited amount of video formats it can playback. 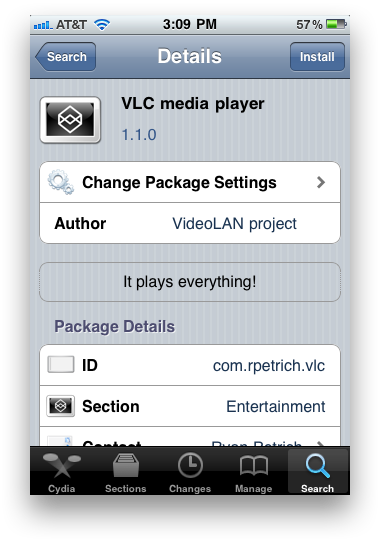 VLC was a simple, free app that allowed more types of videos to be playable on the iPhone. VLC was pulled based on licensing issues. As we reported, the VLC iPhone app was released back in October (the already-existing iPad app was made universal). For an app to be in Apple’s App Store, that app is under Apple’s DRM (Digital Rights Management) policy through the App Store and iTunes’ Terms and Conditions. VLC is “open source” software, meaning that it is protected under the GNU General Public License (GLP). This license states that software must be freely distributed and can be collaboratively developed, which is the way that the VLC desktop client has operated for years. 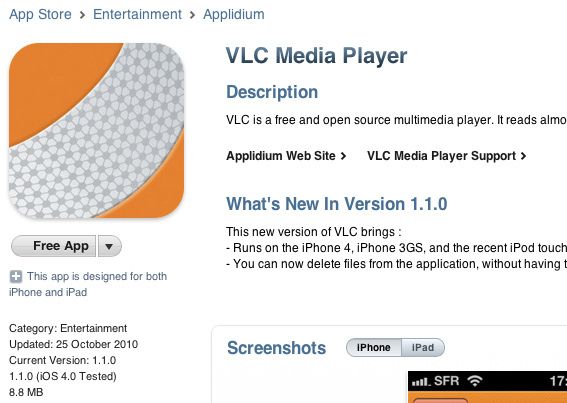 An open source contributor, Applidium, ported the VLC code to work on the App Store. The VideoLAN organization, the community responsible for the development of VLC, had nothing to do with Applidium’s original submission of the VLC app to Apple. VideoLAN also did not purse any kind of takedown when this licensing issue was recognized. Apple didn’t even seem to care. You can attribute the pull of VLC from the App Store to one developer with a vendetta. Rémi Denis-Courmont (lead contributor to the VLC project, and a Nokia employee) is responsible for the app’s takedown. Because of Rémi’s status with VideoLAN, he had the rights to pursue a licensing claim based on the code he had contributed to the VLC project. “Today, a formal notification of copyright infringement was sent to Apple Inc. regarding distribution of the VLC media player for iPad, iPhone and iPod Touch. VLC media player is free software licensed solely under the terms of the open source GNU General Public License (a.k.a. GPL). Those terms are contradicted by the products usage rules of the AppStore through which Apple delivers applications to users of its mobile devices. At the time of writing, the infringing application is still available. However, it is to be expected that Apple will cease distribution soon, just like it did with GNU Go earlier this year in strikingly similar circumstances: http://www.fsf.org/news/2010-05-app-store-compliance . Thus, users of iOS-based devices would be deprived of VLC media player, as a consequence of the intransigently tight control Apple maintains over its mobile applications platform. The reason that VLC is no longer available in the App Store is that one developer felt the need to fight for the principles of “open source.” The open source community has always been incredibly passionate about the principle of free and open software, but VLC was being offered for free in the App Store. It wasn’t like Applidium was pocketing money from an open-sourced project. Whether Rémi was right to fight for the pull of a free app based on licensing principles is a debate that I’m sure will never be resolved. The end result is that the consumer doesn’t have the option of VLC in the App Store anymore. 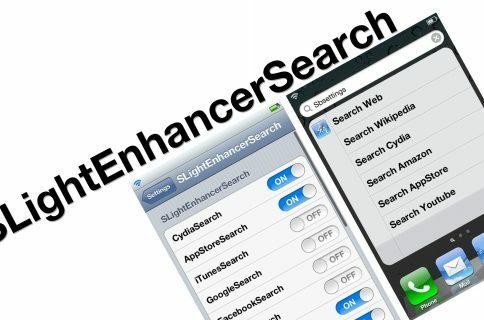 Once you’ve done that, head over to “Search” in Cydia and search for “VLC media player.” You can then install Applidium’s app for free. Enjoy! What do you think about the way that VLC was pulled from the App Store? 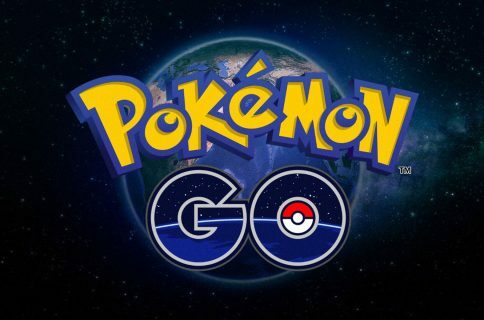 Did you use the app when it came out? Do you know of any good alternatives (whether jailbreak or App store) for VLC?